Sometimes sealing challenges come on a truly grand scale. When this is the case, you can rely on VIPSeal® extra wide couplings which are designed to seal large diameter DN200 pipes or above. With a 300mm width, the extra wide couplings are engineered using the same exceptional materials our standard seals. They provide greater tolerance when cutting the pipe ends, and offer resistance to any ground movement caused by settlement and thermal effect. 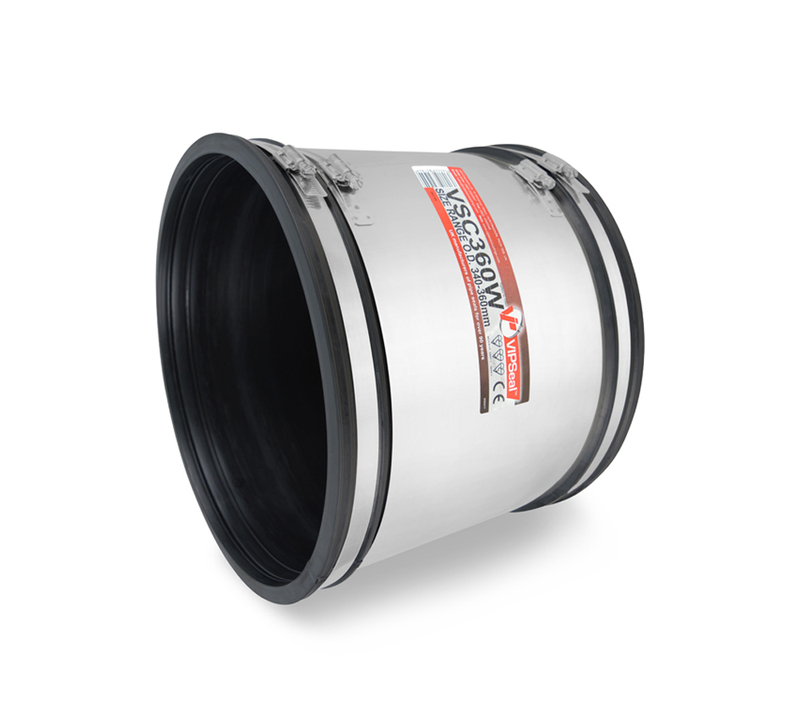 View all sizing options for VIPSeal® extra wide couplings in our information table.